The better you follow these ad writing tips, the more successful your ad campaigns will be. Itâ€™s very important for your click through rate that you include your main keywords in your headline, description text and display URL if you can. Google will highlight searched keywords in your ad, which will help draw attention to it. The more clicks you receive, the higher your click through rate and the lower your cost per click. Include one or more major benefits in your ad. For example, fast shipping, lowest price, instant delivery if youâ€™re selling digital items, etc. Start your headline with attention grabbing words. For example, Fast:, New:, Sale:, Free:, etc. Keep within Googleâ€™s editorial guidelines. Here is a list of power words I recommend using, Power Words List. If an ad is for a specific product or service, create a landing page for that ad. Include relevant and useful information to convert the customer. Generally, a well designed landing page will almost always convert more visitors than if you simply sent visitors to your home page. In other words, link directly to your products page. For our example with Green Widgets, we would link to http://www.ourwebsite.com/greenwidgets.html for maximum conversions. Common words, such as â€œa, an, in, on, it, of,â€ etc. Remove every word that does not absolutely need to be in the ad. Make every word count. This may reduce your click through ratio, but that’s OK. After all, you’re not trying to target everybody, only potential customers. In most cases, freebie hunters will never become paying customers. A clear call to action is especially important if your goal is to maximize your return on investment. Offering the user some guidance on what to do once they reach your site — such as ‘Buy Flowers for Mom!’ — may improve your campaign’s performance. The call to action should reflect the action that you consider a conversion, whether it’s a sign-up, a request for more information, or an actual sale. 8. Do not Copy the Competition, Stand Out! I hear it all the time. You decide one day that since you competition is promoting a product a certain way; they must be doing something right, letâ€™s copy them! I think this is the wrong approach. Instead of copying your competition, you can take a few ideas from them, but trust me when I say this, it doesnâ€™t help your click through rate having your ad look exactly like everyone elseâ€™s. Stand out and youâ€™ll have better results. You can put absolutely anything in your display URL, provided that the domain matches with the domain of the destination URL. No matter what your domain name is, you can include your primary keyword with a trailing slash in your display URL to â€˜assureâ€™ the searcher that they will indeed go to the right page. For instance if a searcher is looking for a white iPhone, which ad below would be more compelling? That’s about it for creating solid Google Adword Ads. I hope this helps in your PPC ventures. If you need futhur help with PPC Advertising, SEO, Email Marketing, Direct Advertising, etc check out Webmaster Blueprint, and new eBook I wrote up on creating and marketing an online business. I just finished doing my bi-monthly daily traffic report for all my sites. Aspkin.com is doing okay with about 736 visitors a day starting this month. I found that making the eBay forums private really slowed things down, all the way to around 500 visitors a day. So a few days ago I made the forums public again, and the numbers of visitors are starting to increase. Before the forums went public I was receiving around 1200 visitors a day to my blog and forum. Not so bad. I also found that Google really doesn’t like scraped content. I’m not a big fan of it either but since I can’t possibly write all my own content, I have to find methods to feed my sites fresh content. Most of my sites have unique content, but there are a few I’ve been testing with different kinds of scraped content. My best sites, averaging 2-3 thousand visitors a day are custom made websites with 100% unique solid content. My worst sites have barley 10 visitors a day with 100% scrapped content using wordpress themes. Google doesn’t necessarily care if you use the same platforms as others use (wordpress), but they seem to give you some sort of bonus if you use some unique scripts to handle your content. And also they don’t care much for scraped content; which I pretty much knew already, but had to test it out for my self. I’m experimenting with RSS content with some sites, and I’m having good results. Some sites are staying the same traffic wise and others are increasing slightly; which is a good step away from ugly scraped content. I also found that if you domain names have highly sought keywords in them, Google will look at these sites more often for spam, and if you’re using scraped content with these sites, Google won’t hesitate to ban you domain. I’ve had two AWESOME domain names banned for scraped content. I’m trying to get them back by using good content and high ranking inbound links, but time will tell. I was able to get one site back about 6 months ago, and now that site gives me around 400 unique visitors a day. Nice! I’ve found that mixing up your content with some unique and scraped content works well. Especially if your scraped content is targeted to keywords you’re looking for. But scraped content websites all by it’s self doesn’t work. One last thingâ€¦ using the same exact content in multiple sites doesn’t work either. I have 6 sites based on the same topic and using the same content. But only 2 or 3 of those sites get decent traffic. The other 3 gets crap for traffic! Just a heads up. I get this question all the timeâ€¦ How do I generate traffic for my websites? The hardest part about creating a successful website is getting the traffic. If you don’t have traffic you won’t make any sales. Don’t worry though; it’s your lucky day! I just drank a whole cup of coffee and Iâ€™m ready to write a guide on how I generate traffic for my websites. If you’ve read any of my older post you would know I run 50 plus websites with my latest being an IP tracking website called IP Burger. Most of these websites are content based running off wordpress and automated software – which takes a lot of the hard work out of maintaining my websites. It also gives me time to build up my network with off site SEO. Okay to the meat! How do I generate traffic? The two most import things you should know about generating search engine traffic is that the more targeted unique content you add to your website daily and the more relative high ranking in bound links you have pointing to your website – the more traffic you’ll create. Content and the value of that content determinesÂ your traffic. You can’t just have any old content on your website. Your content has to give real value to the visitor. You have to have something that people will want to know. If you repost something already found on the internet, Google will notice and give you crap for ranking. It’s not worth your timeÂ andÂ effort using other people’s content. You have to use unique content and you have to add or update that content often for Google to keep your website up in the ranks. What I mean by this is Google will continue to visit your website if there is content updated or added often. The more you add or update your content, the more Google will visit your website. And you want Google to visit your website as often as possible! The reason for this is the more Google visits your website the higher your search engine placement will be compared to less visited websites. Do you get me? Another way Google will visit your website often is in bound linkage. The more in bound links you have, the more Google will visit your website and update your web presence. So the key is to add fresh and relevant content to your website as often as you can without spamming the search engines, and to have plenty of in bound links. The way you get in bound links is by posting your links in forums, blogs, articles, or anywhere else you can have you link counted. The higher ranking the website your link is coming from, the more weight Google places on your website for targeted keywords. This will also give you a small boost in your search engine ranking which will increase traffic. Think about adding content this way. Every new page you create on your website is like addingÂ aÂ new doorway into your site. The more doorways you create, the more traffic you’ll receive. And again your content needs to be relevant and unique to your business in order to generateÂ targeted traffic. What are keywords? Keywords are words you’re trying to rank #1 for in Google. If the keyword you’re trying to rank for is blue widget, then any in bound links you create should have a variation of that keyword in it. Example Keywords: Blue widgets for sale, cheap blue widgets, blue widgets information, your guide to blue widgets, etc. Google relies on these keywords to decide what your website is about; which brings me to your webpage titles. Your webpage titles should include keywords you’re trying to target. Google will look at your in bound links for keywords, but will only act on them if these keywords are found either in your content or title. A few months ago, when you looked up this keyword in Google, the first site that would be listed would be about George W. Bush. Now Bush never used the words Miserable Failure in his website, but because of the way Google was ranking keywords at the time, he was listed in first position for that word. But now since Google has made it clear that keywords must be found in your website before being counted toward your search engine ranking, the first site ranked for Miserable Failure is a wiki site about Google Keyword Bombing. 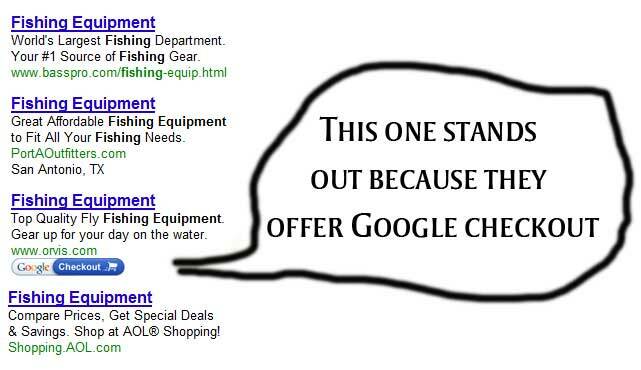 Search engine optimization is funny stuff. Let’s move on to crawlability. Search engine spiders scour the internet to update as many websites as fast as they can. In order to maximize the ability for a search engine spider to crawl all your web pages, you’ll need URLs that are search engine friendly. Most search engines are able to crawl some parts of dynamic URLS, but this won’t be enough if you want high rankings for your website. You need URLS that end in PHP, HTML, ASP, ASPX, etc. You need static URLS. Trust me on this! Okay this is what I did a few days ago to double my traffic for one of the websites I run. The website is a content based site where user rate guides submitted. What I was doing to generate around 1000 visitors a day was to simply add new guides daily which would be displayed on the index page. It’s somewhat a Digg style website. This worked okay, but I was having a hard time increasing traffic. So then one day, I noticed users responded negatively or positive based on the content posted. If there was a great guide posted one day, I would see an increase of traffic. It seemed visitors reacted to the guides differently depending on it’s quality or it was the search engines. So I tested something a few days ago. I made it where the top rated guides would be shown on the front page. The moment I did this, I saw a surge in traffic!Â TwiceÂ asÂ muchÂ as the day before! Why does better content have such a big response like this? I’m not really sure. Most of the traffic is unique and coming from one place. Google. Google seems to love the good content I have. This tells me the better your content is, the more people will react to this and give you traffic. Same with search engines, the better content you have, the more traffic you’ll receive. Just something interesting I found. Content is king, but the value of that content is what really matters. TheÂ overall message Iâ€™m trying to give you is in order to increase your natural search engine traffic for the long run is to have tons of valuable content and in bound links. It’s as simple as that. 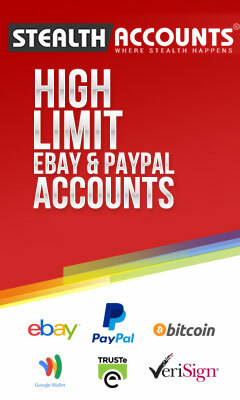 You can create a forum, which this site has (eBay Suspensions Forum) and have your users generate the content for you. You can have a blog which is what this site is founded on, and update it daily (which I don’t). You can create a simple static website and build pages from there. There are a lot of little secrets when it comes to SEO, but building content and in bound links is the basis for a successful website. In my quest of earning $200 a day from Clickbank I’ve come to a roadblock when it comes to generating sales using pay-per-click. To this point I’ve only been making money using banner ads on my personal websites. It’s all free organic traffic, so I’m making 100% profit. The thing is I want to start making money that I can control with a flip of a switch. The problem with PPC advertising is your sales have to beat out your cost to make a profit. I understand this. I understand the proper way to get going with PPC. I just can’t seem to create a proper landing page. I was reading this great forum post earlier today, it’s about 17 pages worth of great information on getting started with Clickbank. 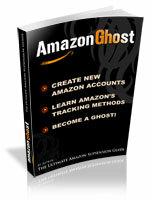 And in the forum this guy talks about his progress with Clickbank and PPC. This thread is an absolute gold mine! Here are a few highlighted text I found in the forum! There is a lot of great information here, be sure to read before the this thread to get the whole picture. As someone who’s been in all facets of sales before, the hardest part isn’t getting them to agree on the PRODUCT. It’s getting them to agree to the CONCEPT.Â Timeshare for example, is neat in concept, but has a terrible stigma (in most cases rightfully so). The hardest part selling them was gettign the people to realize it could HELP – at that point it was just a matter of which product they wanted. I see these pages selling one product, several pages, lots of pictures and big red text, and being savvy, it’s off-putting.Â But when I see several products it’s like my defense is lowered because I’m not guarding against one big scam, but instead 4-5 products which each may be scams, but are arranged in a format that doesn’t make me immediately think so. An old sales trainer told me to sell the way a predator attacks a horse. Run straight at them and they’ll freak. Wind side to side moving closer each time and they’ll let you get up to their face before running because the slow, steady movements are disarming. Not sure if it’s true, but it was a hell of an analogy..Â I think it goes along with the idea that you can’t throw a product in the customer’s face and force them to buy and expect good results. You start off slow – arouse some curiosity, develop some intrigue, provoke some thought. Then, you further keep their interest by hitting some of their emotional “hot-buttons” – connect with them, bond with them, show them you’re one of them.Â Then, making the offer as someone who identifies with them, you offer to give them more information about the product [link to merchant sell page] (instead of shoving it in their face) as something you, as someone similar to them, would honestly recommend to help them out.Â Thereby, instead of going after them straight away, you “tack” back and forth several times to get the sale. What do you know about internet marketing and SEO? Did you know half of all your online activity your checking your email? Did you know simple blue and white websites dominate the internet? Did you know the sooner you start an email list, the more money you’ll make in the long run? Did you know pagerank is only one of 200+ ranking algorithms Google uses to judge you website? Did you know the title of your webpage(s) is the most important part of that algorithm? Did you know when promoting a product, the fewer clicks it takes to checkout the more likely you’ll sale that product? Did you know a visitor judges your website in less then 3 seconds, and decides to trust you within 10 seconds? Did you know color plays a very import role with checkout buttons? The more the stick out the better! Did you know constant fresh content is a must if you want to succeed with any website? Did you know you can automate most content using RSS? Did you know auto responders are an Internet Marketers best friend? Did you know having affiliates promote your product(s) is one of the most important strategies you can do? Did you know diversification is a must if you want to survive online? Did you know being top placed with Adwords is a waste of money when there is a lot of competition? Did you know fresh targeted unique content with a healthy following of targeted inbound links is king? Did you know static pages are favored over dynamic pages, believe it or not? Did you know review websites convert like crazy? Did you know Clickbank is one of the easiest affiliate networks to start out with? Did you know small niche websites are better then large generic websites? Did you know doing what you say you’re going to do for prospects, brings better results for leads? Did you know having open affiliate links in personal websites can sometimes bring down your Google ratings?